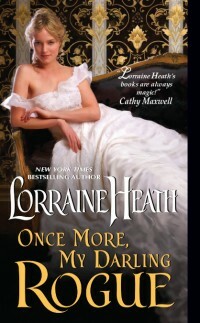 Thank you for stopping in today for my review and excerpt for Lorraine Heath’s Once More, My Darling Rogue: Scandalous Gentlemen of St. James # 2. Please be sure to check out the other tour stops and don’t forget to enter the tour-wide giveaway where you could win a $25.00 eGift Card to Book Seller of Choice. I love my historical romances, even those that have a premise that could so easily fall into trite and over-played territory. In this book, Lady Ophelia is rescued from drowning , only to wake and find she has no memory of her life before. Fortunately, her rescuer was none other than Drake, an honorable if deeply secretive young man that has always held a touch of hope in her direction. Drake convinces Ophelia that she is a servant, and slowly but surely the two start to work their relationship into something more fitting and suitable. The early, non-amnesia stricken Ophelia was a truly dislikable character: haughty, snarky, snobby and more than a bit of a shrew. She was despicable in her treatment of Drake, and to his credit, even though he wants to exact revenge he doesn’t treat her with anything less than gentlemanly behavior after that one misdirection. Laden with backstory, there are several secrets that are revealed and help to explain the tension and conflict between the characters, and as Ophelia’s carefully contrived behaviors fall away due to her amnesia, we see the truly kind-hearted woman that hides beneath the society veneer. 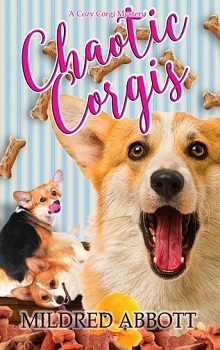 It is to Lorraine Heath’s credit that she created such a horribly unsympathetic character that has a transformation to more sympathetic and engaging, and readers are encouraged to cheer her on. No such effort was needed for Drake: despite his moments of speaking in anger and occasional bouts of impulsivity he is engaging and likable, and his sense of honor as a gentleman, and his strength gained in his struggles for acceptance and entrée into society all make him the perfectly created hero for this story. Fast paced with several surprising reveals and a wonderful ending, this story is a perfect redemption story with the redeemed not necessarily the expected. She should have been repelled, horrified. Instead she was entranced, drawn into sensations such as she’d never experienced. He was so terribly talented at eliciting delicious responses that began at the tips of her toes and swirled ever upward, a tingling of nerve endings, lethargic warmth, that weakened her knees, her resolve to push him away. She heard a deep groan, felt a vibration against her fingers and realized she was clutching the lapels of his coat. Clinging to Drake Darling was all that was keeping her from melting into a puddle of pleasure at his feet. This was merely a kiss, an ancient dance of mouths, yet it was proving to be her undoing. She lifted her hand to deliver another blow, but he snagged her wrist, his long, thick fingers wrapping firmly around her slender bones. He could snap them so easily. She was breathing heavily, while he seemed to have no trouble at all finding air. “May you rot in hell.” She sidestepped around him, greatly relieved that he didn’t attempt to stop her, slightly disappointed as well. Whatever was wrong with her? It was an odd thing to realize that with him she’d felt . . . safe. Completely, absolutely safe. Which was ludicrous. He didn’t like her. She didn’t like him. He was simply striving to teach her a lesson. She could only hope that she’d taught him one: she wasn’t a lady to be trifled with.